Amazon is getting really good at recommending books that I might like - and with a Kindle price at €4.70 (and no postage), I couldn't resist a one-click "Buy Now" purchase of "Killers of the King: The Men Who Dared to Execute Charles", The mid-seventeenth century was always a fascinating period of Irish history for me - probably inspired by G.A. Henty's "Orange and Green: A Tale of the Boyne and Limerick" (1888) which I read as a young teenager. This period of Irish history, and especially the War of the Two Kings and the English Civil War, is also deeply immersed in British history. Charles Spencer (brother of Lady Diana Spencer), has written a fine account of the men who were involved in the trial of King Charles I. 59 men signed the King's death warrant before he was led off to the block. When Charles' son, Charles II became king in 1660 - vengeance was uppermost on his mind. In 1660, 10 regicides (king killers) were executed (9 by being hanged, drawn, and quartered). More executions and assassinations followed, and even up to the death in exile of the final regicide - Edmund Ludlow in 1692 (43 years after the King's execution) warrants still existed for the arrest of the regicides. 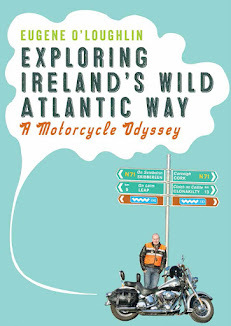 Incidentally, I mentioned Edmund Ludlow in my own book, Exploring Ireland's Wild Atlantic Way, when writing about the Burren in Co Clare. Ludlow is quoted as saying about the Burren: "Not a tree whereon to hang a man; no water in which to drown him; no soil in which to bury him". While there were so many regicides for Spencer to write about, he concentrates on a small number (like Ludlow). Many went into exile and lived in hiding and fear for the rest of their lives. One of the things that stands out throughout the book is the faith and piety of many of the regicides as they faced their gruesome deaths. They looked to The Bible for inspiration and courage - remaining true to what they saw as God's will to be done. Many never wavered from their belief that executing the King was the right thing to do. Many innocent people, including thousands in Ireland, were killed during the mid-seventeenth century as the English fight amongst themselves. 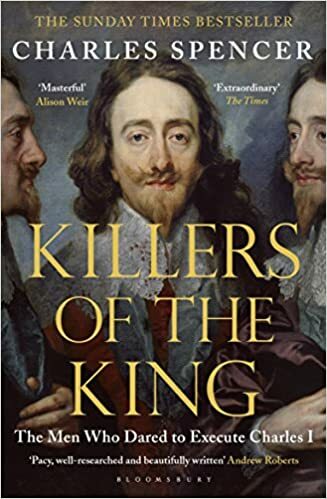 In the middle of all this were 59 men of conviction, who did the unprecedented in signing a death warrant for a king, brought to life again by Charles Spencer in a thoroughly enjoyable book.